Do you visit the dentist every six months for professional teeth cleanings? Although you may be tempted to skip regular dental appointments if your teeth feel fine, the visits offer important benefits for your oral health. Roseville, CA, dentists Drs. Hana and Ibtisam Rashid offer the comprehensive dental treatments and services you need for a healthy smile. More Cavities: Daily brushing and flossing are essential aspects of reducing your cavity risk, but they may not eliminate every trace of plaque from your mouth. The dental hygienists at your Roseville, CA, dentist's office are skilled at removing plaque from hard-to-reach places that may be overlooked when you brush your teeth. Although professional cleanings are important for everyone, they're particularly crucial if you teeth overlap, as overlapping areas can trap cavity-causing plaque. Increased Gum Disease Risk: Plaque turns into tartar when it remains on your teeth for a week or longer. Tartar, a hard brown or gray substance, can often be seen on the bottom of your teeth along the gum line. Unfortunately, brushing and flossing have no effect on tartar. In fact, it can only be removed during a professional cleaning. Tartar can be very irritating to your gums and may contribute to gum disease. 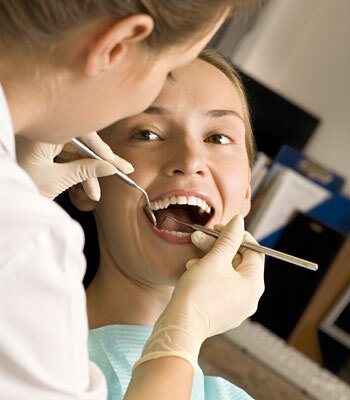 Professional cleanings provide a simple way to help you lower your gum disease risk. A Duller Smile: Professional cleanings also help you look your best. The cleanings remove surface stains that can dull your smile. Better Breath: Have you ever noticed how fresh and clean your mouth feels when you leave the dentist's office after a cleaning? Cleanings remove tiny trapped particles that can cause bad breath. Worsening Tooth Issues: Every regular visit also includes a dental examination. In addition to checking for cavities, your dentist will also look for signs of other dental issues, such as loose crowns or fillings, early gum disease signs, or brittle teeth. Taking care of these issues when they're still fairly minor is easier and less expensive. Keep your smile clean and healthy with a professional cleaning! Call Roseville, CA, dentists Drs. Hana and Ibtisam Rashid at (916)-780-1955 to schedule your appointment.